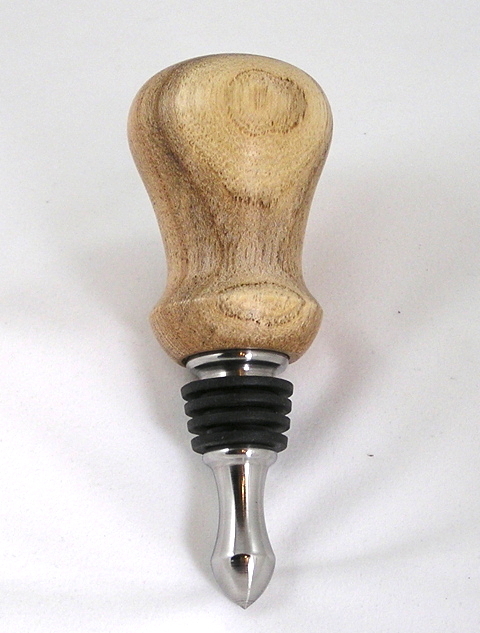 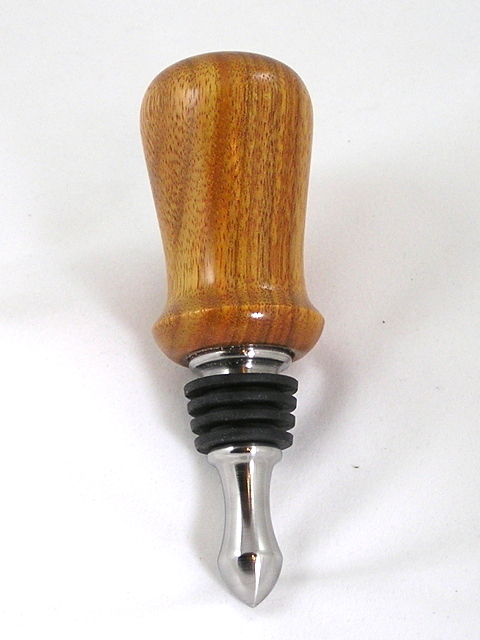 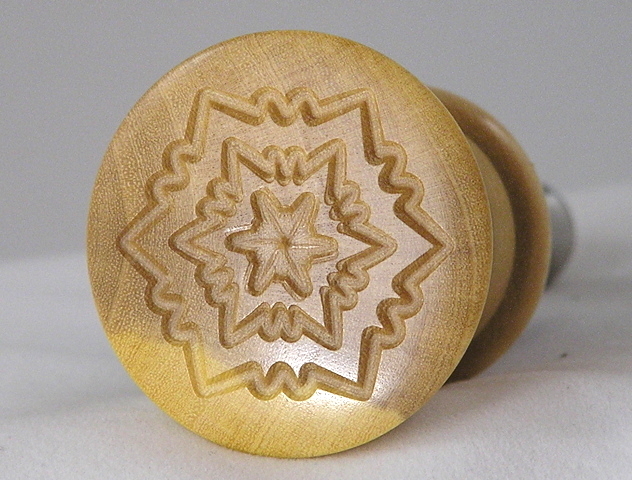 Bottle Stoppers : No Skew Turns, Gifts handcrafted from the world's beautiful woods. 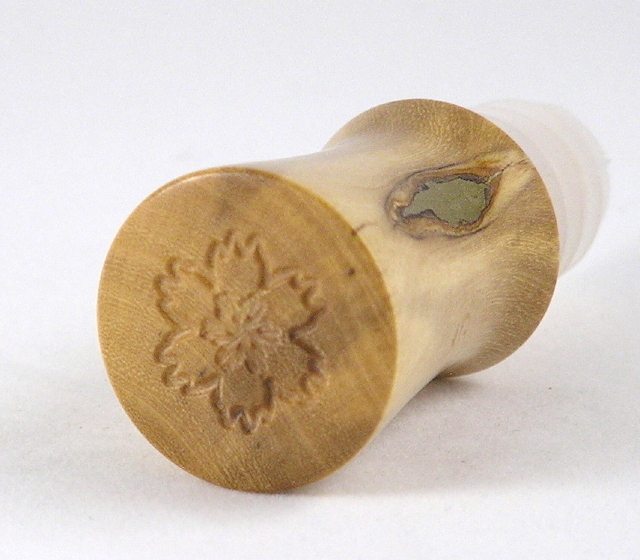 Silicone stoppers have a ribbed cap of silicone rubber friction fitted over a maple dowel which is glued into the turned wooden top. 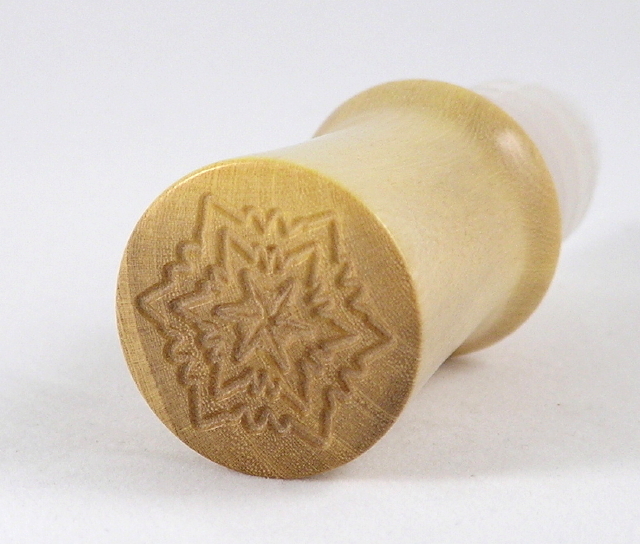 The silicone does not absorb odors or flavours, and can be quickly rinsed after use. 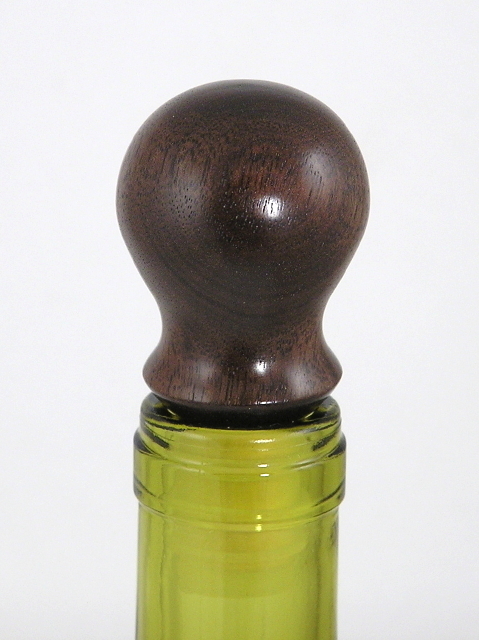 They are more durable than cork stoppers, and form a good seal. 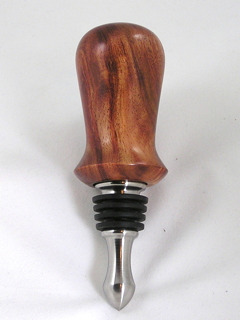 Stainless steel stoppers, made in the USA, have four tiers of black silicone rubber to form a snug seal, mounted on an elegant teardrop-shaped body. 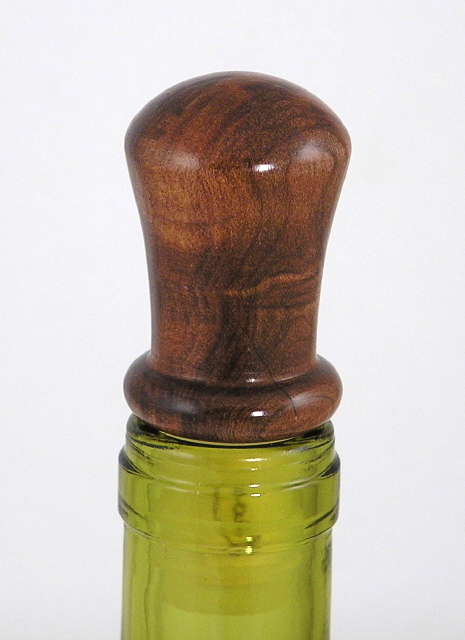 The food-grade stainless is impervious to anything you'd care to ingest, so these stoppers can be used on oil or flavored vinegar bottles, as well as wine. 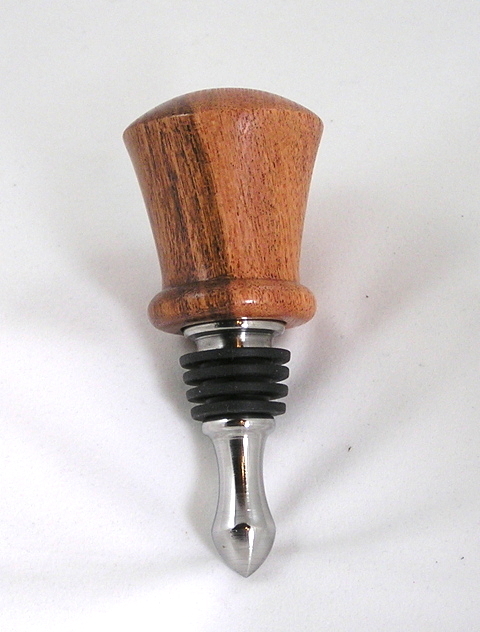 Note: The dimensions given are the total height of the stopper, and the diameter at the widest point. 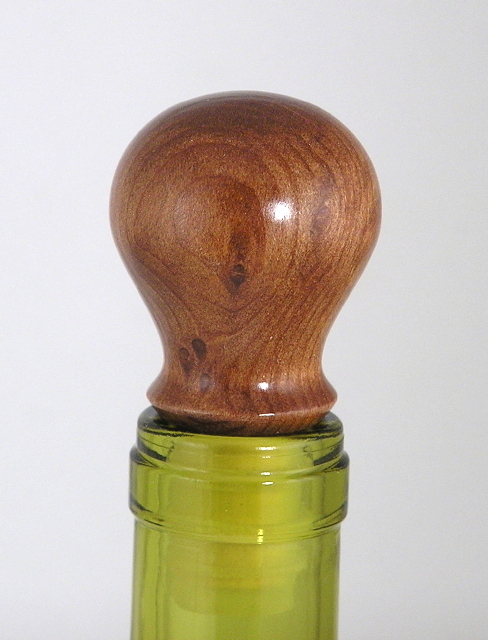 The silicone cap extends not quite one inch below the wooden body. 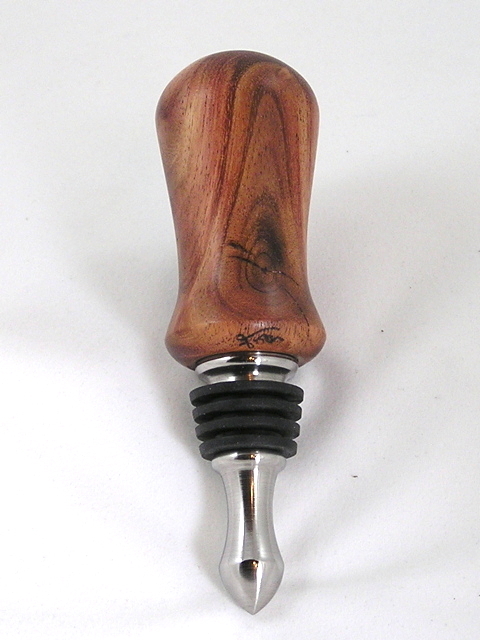 The stainless steel teardrops extend approximately 1.9 inches below the wood.